U.S. politicians are tempted to blame Chinese currency manipulation for the country’s economic woes. But doing so is unhelpful. In a close election year, the easy option for politicians is to blame the United States’ economic woes on China. The U.S. bilateral deficit with China hit a record $295 billion for last year. Protectionist sentiments are running high with recent complaints filed with the WTO that China doesn’t follow the rules. Passage of a countervailing tariff bill exemplifies the skirmishes that are coming. These efforts are bolstered by repeated calls for the renminbi to be revalued upwards to offset China’s alleged currency manipulation. The problem is that this isn’t the real story. 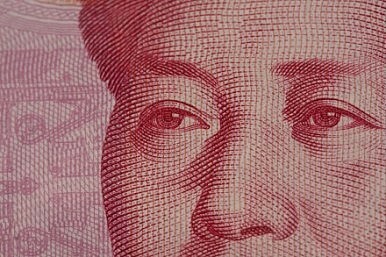 From China’s perspective, admonitions that the renminbi is significantly undervalued seem devoid of logic. China’s current account surplus has declined from 10 percent of GDP five years ago to less than 3 percent last year and many project even further declines. Moreover, Beijing finds it perplexing that after steadily appreciating the renminbi by nearly 40 percent in real terms since 2005, critics say that the renminbi is still undervalued by the same 20 percent or more as if nothing has happened over the past five years. Much of the confusion comes from focusing on the still huge U.S.-China bilateral trade imbalances, rather than looking at it from a global perspective. Chinese policy makers are reminded that the United States took a similar approach in complaining decades ago that an undervalued yen was the major reason for Japan’s sustained trade surpluses. That the Japanese yen appreciated from 240 to 80 to a dollar in response to the 1985 Plaza Accord and yet the country continued to run a surplus until its recent nuclear disaster reminds the Chinese leadership that factors other than the exchange rate are far more important in shaping trade balances. The truth is that China’s surpluses aren’t driving America’s deficits. This is illustrated by the differences in timing for when changes to both countries’ trade balances occurred. The U.S. trade deficit began increasing rapidly around 1998 and peaked around 2005. China’s trade surpluses began increasing around 2005 and peaked in 2008. This pattern suggests that U.S. deficits and China’s surpluses aren’t directly related, but reflect global shifts and country specific circumstances. Clearly, “manipulating” the value of the renminbi had little to do with the emergence of China’s trade surplus since its value was pegged to the dollar until 2005. And only as the renminbi began to appreciate, did China’s surplus increase. One could argue that China’s reluctance to allow the renminbi to appreciate even more rapidly after 2005 allowed surpluses to grow larger. However, more rapid appreciation would likely not have reduced U.S. trade deficits but only transferred some of the China specific surpluses to other Asian countries as long as the U.S. continued to run major fiscal deficits. The role of the Asian production sharing network didn’t just surface in the mid-2000s. It began much earlier as Japan moved portions of its production base to Southeast Asia decades ago. China’s central role took off only with its accession to the WTO in 2001, giving it easier access to Western markets. This was supported by a massive infrastructure construction program that strengthened its competitive position. Thus, despite substantial real wage increases of around 12 percent annually, labor productivity increased even more rapidly at an estimated 15-20 percent, making it profitable for multinational firms to use China as the assembly plant for the world. As a result, the U.S. trade balance with China is really a regional rather than a bilateral issue and one which has been substantially shaped by the interests of firms like Wal-Mart in driving costs down. China's Greatest Challenge: Not America, But ItselfHow China’s Economy Must ChangeThe Rise of Global FeudalismChina: Get Ready for TurbulenceCan China’s Consumers Save West?